Dr. Linda Watt (Brie Larson) is a scientist doing research for Mogil, a leading agri-chemical company based in New York. The young doctor is so thrilled about genetically engineering a strain of Basmati rice that yields 22% more grains per acre that she spontaneously breaks into song on Fifth Avenue, right in front of the iconic Flatiron building. Mogil's CEO (Donald Sutherland) is just as excited by her groundbreaking discovery, but all he sees are dollar signs. He decides to launch the new product over in India, where about a billion and a half people eat rice every day. But first, the farmers have to be talked into switching to Rice 9 from the reliable strain they've used for generations. So, he sends Linda over to the subcontinent to market her invention herself. Trouble is, she's a nerd who's far more comfortable working long hours in a lab than addressing big crowds. Worse, she has no idea that the small print in the "Rice 9" contract will force the signers to buy their seeds from Mogil year after year forever. The question is whether Dr. Watt will wise up to the fact that she's being used to by her greedy boss to ruin millions of farmers financially. Besides business, Linda finds time for a little romance during her stay. First, sparks fly with William (Saahil Sehgal), the local yokel serving as her tour guide. Then, she develops a little chemistry with Rajit (Utkarsh Ambudkar), a rebellious college student suspicious of Mogil's intentions. 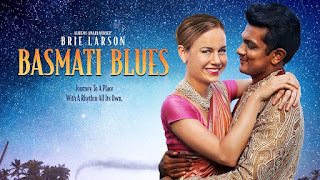 Thus unfolds Basmati Blues, a musical dramedy reminiscent of La La Land. Unfortunately, this relatively-amateurish production fails to measure up in terms of plot, acting, cinematography or soundtrack. 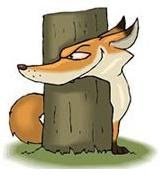 The movie marks the ambitious directorial debut of Dan Baron, previously best known for writing the screenplay for a kiddie comedy, See Spot Run. Baron ostensibly bit off more than he could chew here, frustrating his A-list ensemble by rarely allowing them to play to their strengths. For instance, why make the audience suffer through Donald Sutherland's woefully-strained warbling? Equally miscast are six-time Emmy-winner Tyne Daly and Golden Globe-winner Scott Bakula. A shaky, Bollywood-style musical worth a watch only to see Oscar-winner Brie Larson give it her all.